Bitbucket is a web-based hosting service used for source code and development projects that use either Mercurial or Git revision control systems. It is similar to GitHub, which primarily uses Git. Bitbucket focuses on helping professional developers with private proprietary code. As of September 2016, Bitbucket announced it had reached 5 million developers and 900,000 teams on its platform. Bitbucket has 3 deployment models: Cloud, Bitbucket Server and Data Center. Pipefy's Bitbucket app doesn't support Bitbucket Server and Data Center yet. 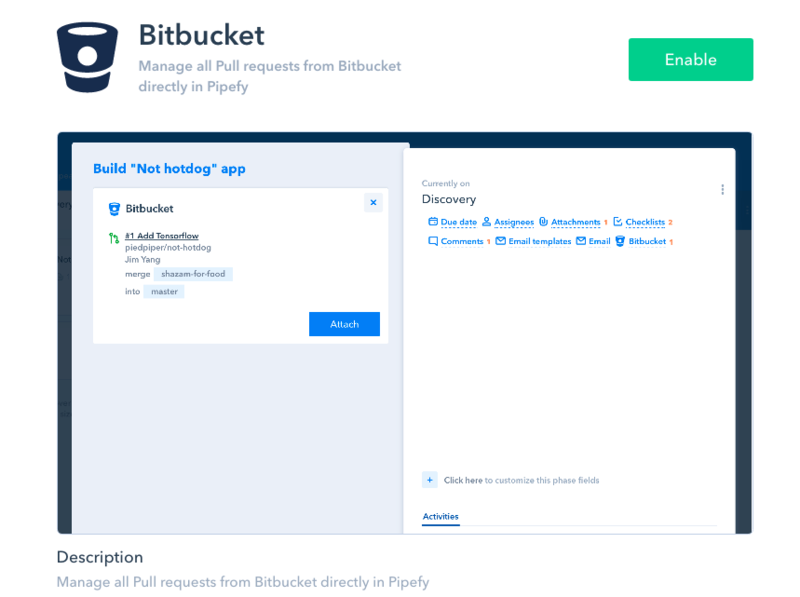 By enabling Pipefy's Bitbucket pipe app you will no longer need to open Bitbucket to keep track of your pull requests. 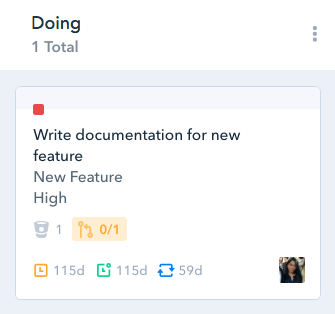 Connect Pipefy to Bitbucket and attach pull requests to your cards to keep track of them, easily checking the cards to find out whether your requests have been merged. How to enable the Bitbucket app? Once you click on it, the Bitbucket app tab will open on the left side of the card. When you click on "attach" for the first time you'll have to authorize Pipefy to access your Bibucket account. Click on "Authorize Bitbucket account" to open a box where you'll authorize Pipefy to access the data in your Bitbucket Cloud repositories. Pipefy's Bitbucket app doesn't support Bitbucket Server and Data Center yet. You'll see the PR's name, its repository, its number, labels and the name of the person that created it, as well as the branches it'll be merged from and to. When you click on the PR within the card you'll be redirected to Bitbucket. If the icon is green it means all PRs have been merged. If it's yellow it means that at least one of the attached pull requests haven't been merged yet. To disable this app, simply open the sidebar menu > apps > Bitbucket and click on 'disable'.